Is your Samsung Galaxy Note 9 Email Not Working? If your answer is Yes then read on as we show you how to solve the problem. Smartphones are a life saver, helping us do some basic stuff we usually do with our computer on the go. One of which is being able to send and receive emails right on our phones. This feature is on every smartphone is definitely one of the most underrated features as you won’t know how important it is till it stops working. Obviously, when it stops working, you will be unable to send or receive emails, check inbox or spam, etc. This might be a problem for some, especially those for depending on the email to work. Well, we are here to give you some pointers in order to help you solve the problem. There are 2 solutions to this problem, and we will be going through both of them in this guide here. This should be the first thing to do, trying logging out of the Email and logging in again as the problem might be from the login session. If after doing this and the problem persists then you’ll need to take more drastic measures by clearing the data of the email app. You can do this by going the settings Menu and Click on Apps, Locate the Email app, Click on it and Clear its data. After doing that then you can go back to the home screen and proceed to open the email app and Log In. If this doesn’t also fix the problem, then you’ll need to try the next method below. If you’ve tried the above steps and the problem remains then wiping the cache partition of your device is the next step you should take. To do that, follow the steps below. 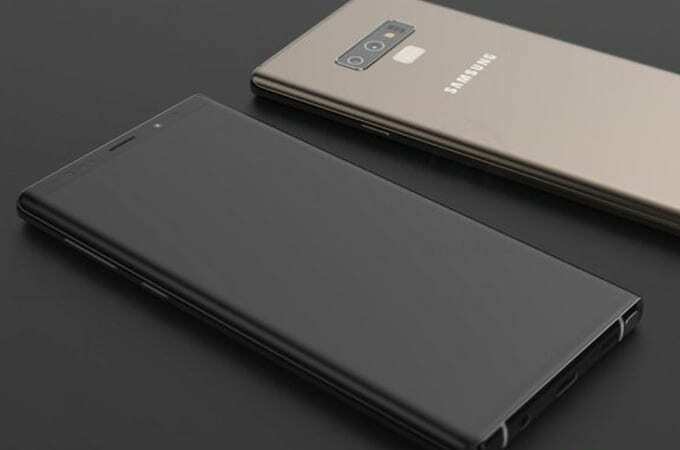 Turn Off your Samsung Galaxy Note 9. Press and Hold the Bixby Button, Volume Up Button, and Power Button all at the same time. Once the Samsung Logo appears, Let go of the Bixby Button and the Power button while still holding the Volume Up Button. Keep holding the Volume Up Button till it reaches the recovery mode menu. Once it reaches the recovery menu, Let go of the Volume Up button. Now, Navigate to “Wipe Cache Partition” using the Volume Down button and Select it using the Power Button on. Once it is done Wiping the Cache Partition Data, Navigate to “Reboot System Now” and Select it. Your phone will reboot, and hopefully, the problem should be fixed. There is also a chance that Samsung Galaxy Note 9 Email Not Working might be as a result of a bug in the operating system version. If this is the case, then only an update will fix such a problem. If you have an available update ready for your phone, then I’ll suggest you update your device. You can do that by following our guide on how to update Samsung Galaxy Note 9 Firmware. On the off-chance that you’ve tried all the above steps and the email app is still malfunctioning, you can simply Download a third-party email app like Gmail, Outlook etch from the Google Play Store.